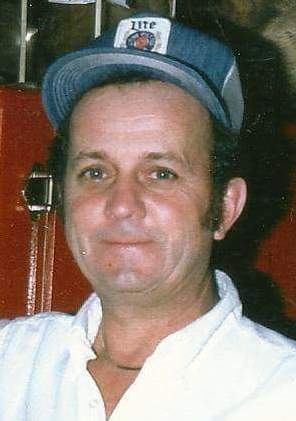 Mr. William “Billy” E. Howard, 80, of Great Valley, New York died early Friday morning, November 4, 2016 at the Absolut Care of Houghton, Houghton, New York, following a short illness. Born October 24, 1936 in Cuba, New York, he was the son of the late Leslie “Bill” and Blanch Johnson Howard. He had been employed for over 20 years in heavy construction as an Operating Engineer. During that time, he spent 18 months in Saudi Arabia. He was also a Mason and a Landscaping Contractor, and bartended in several bars in the Ellicottville area, retiring approximately 10 years ago. Mr. Howard was an avid outdoorsman and enjoyed camping, gardening, farming, hunting, and fishing. He loved to travel, especially going on many family vacations to West Virginia, Virginia, Daytona, the Outer Banks, and Ocean City, Maryland. He followed all sports and especially enjoyed watching NASCAR, the New York Yankees, Cleveland Browns, and the West Virginia Mountaineers basketball and football programs. He was a season ticket holder for St. Bonaventure basketball. Surviving are: a daughter, Debbie (Tim) Halloran, Great Valley, NY; two sons, Jeff (Cheryl) Howard, Humphrey, NY, Rick (Katie) Howard, Great Valley, NY; seven grandchildren; six great-grandchildren; two brothers, James (Ann) Howard, Little Valley, NY, Donald Howard, Salamanca, NY; a sister, Betty Jane Petit, NC; several nieces and nephews. He was predeceased by a sister, Donna Howard. Friends may call at the O’Rourke & O’Rourke Inc Funeral Home, 25 River Street, Salamanca, NY on Saturday November 5, 2016 from 2 – 7 p.m., at which time funeral services will be held with Rev. Michael Lonto, pastor of St. Mary’s Episcopal Church, officiating.